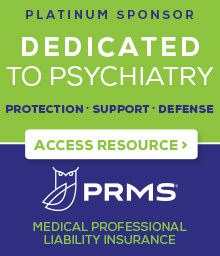 NEW YORK--(BUSINESS WIRE)--Phoenix House, the nation’s leading nonprofit provider of substance abuse and treatment and prevention services, announced today its appointment of Andrew Kolodny, M.D., a nationally recognized psychiatrist and public health advocate, as Chief Medical Officer, effective September 9, 2013. Dr. Kolodny joins Phoenix House from Maimonides Medical Center in Brooklyn, New York, where he served as Chair of Psychiatry since 2008. In this capacity, he provided clinical and administrative oversight of psychiatric services and a residency-training program for one of the largest community teaching hospitals in the country. During his tenure, he demonstrated a hands-on approach to improving the quality of care, integrating health and mental health services and developing new services and programs to meet changing community needs. 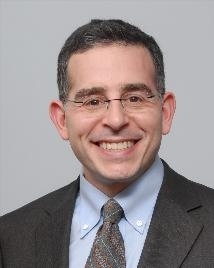 Prior to his appointment at Maimonides, Dr. Kolodny established a stellar career in public health, with a special focus on substance use disorders. After completing a public psychiatry fellowship at Columbia University and a fellowship in Congressional Health Policy, he joined the New York City Department of Health and Mental Hygiene, serving as the Medical Director for Special Projects in the Office of the Executive Deputy Commissioner. For New York City, he helped develop and implement multiple programs to improve the health of New Yorkers and save lives, including city-wide buprenorphine programs, naloxone overdose prevention programs, emergency room-based screening, and brief intervention and referral to treatment (SBIRT) programs for drug and alcohol misuse. Over the course of his career, Dr. Kolodny has also devoted himself to addressing the epidemic of opioid addiction and overdose deaths. He is a founder and the current president of Physicians for Responsible Opioid Prescribing (PROP), a several hundred-member education and advocacy organization. PROP’s national efforts are focused on reducing morbidity and mortality caused by overprescribing of opioid analgesics. As a leading nonprofit provider of substance abuse treatment and prevention services since 1967, Phoenix House helps more than 7,000 men, women and teens each day as they overcome addiction and begin new lives in recovery. Our research-tested treatment methods and clinical practices meet the needs of each individual client. Our nearly 150 programs in California, Florida, Maine, Massachusetts, New Hampshire, New York, Rhode Island,Texas, Vermont, and Virginia/Maryland/Metro D.C. welcome clients from every level of society and address a broad range of behavioral problems. We work with kids at risk, support clients in recovery, and offer a wide array of treatment options as well as supportive services ranging from vocational training and counseling to expressive arts therapy.